Compassionate decision follows discussions with In Defense of Animals about the cruelty inherent in foie gras production. In Defense of Animals (IDA) today congratulated the luxurious Beverly Hills Avalon Hotel for their compassionate decision to remove foie gras from their menu. The Avalon Hotel joins Spago as the second Beverly Hills establishment to remove foie gras. The production and sale of foie gras will be banned throughout California by statute effective July 1, 2012. 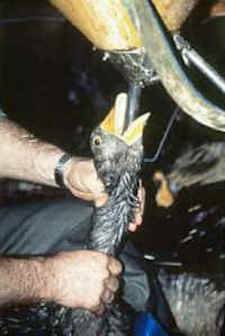 Foie gras is already banned in Austria, the Czech Republic, Denmark, Finland, Germany, Holland, Italy, Israel, Luxembourg, Norway, Poland, South Africa, Sweden, Switzerland, and the United Kingdom. In Defense of Animals leads a nationwide campaign to convince restaurants to remove foie gras from their menus.